Wireless Terminal Solutions is your one-stop-shop for pubs looking to accept card payments. Our vast array of POS and EPOS equipment will get your pub set up with everything you need. With the rise of contactless payments, and the recent introduction of Apple and Android pay, customers are looking for a convenient way to pay for drinks and beverages, and the contactless solution has become an integral part in the way customers pay. Pubs and bars who accept contactless payments reduce waiting time for customers. It also provides higher spend for transactions, and reduces cash handling costs. The contactless feature has helped galvanise pubs with the introduction of the latest technology which previously was largely cash based. Introducing a card machine(s) to your pub or bar can help boost your business as the customer isn’t restricted on the amount of cash they have on them, and in turn helps increase potential spends with each visit. The friendly team at Wireless Terminal Solutions are here to support you with your enquiry, and to get you equipped with the latest in payment technology. WTS have a wealth of industry experience, and we are recognised as one of the UK leading card terminal providers delivering innovative comprehensive POS systems to pubs. Our creative articulate approach sets us apart from our competitors, and we continue to display versatility and attention to detail in every order, surpassing customers’ expectations. This is all coupled in with our award winning technical-based help desk. Countertop debit card machines which are extremely popular for pubs and bars who are looking to take payments at a till or fixed location. Simple and straight forward setup – simply plug the card terminal into the dedicated phone line. Portable card machines are ideal for pubs that need to move around the premises to take payments. Simply connect the unit via a router, and the terminal will work remotely up to 100m from the base station. With its built-in contactless technology, it is extremely popular for a pub environment. Mobile card machines are a popular payment solution for pubs and bars who perhaps don’t have access to a router or dedicated phone line. We’ve also seen the mobile solution used for pubs who host beer festivals or seasonal outdoor events. It eliminates the need for carrying excessive loose change. Wi-Fi debit Card machines are another popular solution for pubs where payment needs to be taken in more than one set location. The Wi-Fi card machine delivers a very personal service, and is perfect for pubs where a telephone line or router is unavailable. We can get you set up with the latest Ingenico card terminal in typically 48 hours. When you speak with a WTS consultant, you can rest in the knowledge that everything will be detailed in a concise email, and WTS deliver simplified pricing plans with all our card machines. Whatever your financial constraints, we have a payment solution to best suit your business. If you have just acquired a pub/bar and you need to start accepting card payments, we also offer a complete solution to accepting debit and credit cards. WTS are a terminal specialist, and are accredited to work with every merchant acquirer. We have preferred rates in place with our partners, and can offer you low bespoke rates which will allow you and your pub to operate a reliable and secure payment platform to accept card payments face-to-face from your customers. 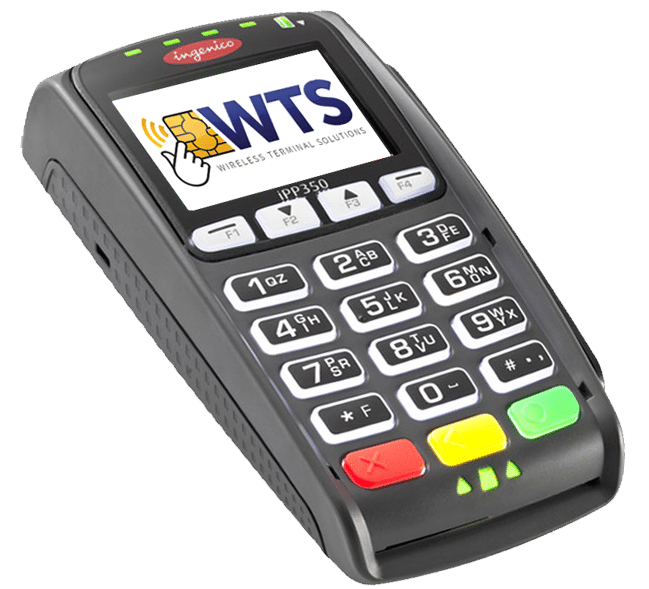 To discuss getting a card machine for your pub/bar, get in touch with a WTS consultant who will talk you through the options available to you and your business. Call us on 0845 459 9984 or email sales@wirelessterminalsolutions.co.uk.